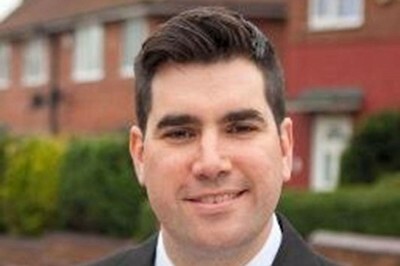 This is in large part a speech by MP Richard Burgon (Leeds East – Labour) [pictured left] about historical cabinet papers, secrecy of the government, its supporting institutions, the hiding of previous socially toxic policies and plans to water down the Freedom of Information Act. The full recording can be read HERE with this particular speech recorded at 10.58 hrs. The establishment press has not published this, or raised the subject matter i.e. the restriction of government generated documents to the public. I am delighted that this important debate has been called today, as it gets to the heart of this Government’s record on transparency and accountability. The relationship between those we elect to govern us and ordinary people does not have to be built upon unbroken, uninterrupted trust. In fact, a healthy scepticism that challenges, scrutinises and protests is the hallmark of a democracy in good health. In order to do that, however, the scales needs to be as evenly weighted as possible between the people and the Government and between the institutions of the state and those who use them. We have seen in communities up and down the land the consequences of secrecy, cover-ups and a breakdown in trust—put simply, the consequences of too much power in the hands of too few. In Liverpool, an entire community was shouting alone for justice for nearly two decades against institutions and a police force that felt that it was not for scousers to be questioning its version of events—a version of events that has been proven to be falsified, in order to protect the police at the expense of the truth. Or take what happened on 18 June 1984 at Orgreave and the charges of police brutality, perverting the course of justice and misconduct in a public office—among the most serious offences that can be found in a country that upholds the rule of law, and yet they have still not been properly investigated to this very day. When secrecy in Government institutions prevails, the health of our democracy and the rights of our citizens pay the price. I am sorry to say that this Government’s record on transparency and accountability has been anything but exemplary. Plans to water down the Freedom of Information Act 2000 have been cloaked in the grizzled words of Ministers, who talk darkly about journalists unacceptably abusing the Act to generate stories—something that many of us call journalism. Last year alone, such journalism uncovered remarkable details of hundreds of dangerous criminals on the run, how many times our data have been breached online, what police knew about child sexual exploitation, and details of Conservative party donors making millions in housing benefit. Those were not fanciful, frivolous requests, but stories very definitely in the public interest. What about being held to account? We have seen the Trade Union Bill and the gagging Act. There is the strangling of the finances of political opponents, in contravention of decades-old convention. The Human Rights Act is seen as nothing but an irritant. There is the NHS weekly bulletin, which was due to begin publication late last year, but which no longer includes figures on four-hour waits. There are the new rules revealing that hospitals had effectively been banned from declaring major incidents—all that from a Prime Minister, who said airily just before entering high office, let “sunshine” be “the best disinfectant”. However, there is some cleaning up to do, because, put simply, this is a Prime Minister and a Government who do not like being challenged. This is a Prime Minister and a Government who do not like scrutiny. It was with depressing familiarity, therefore, that we learnt over the Christmas recess that the Government had stopped the long-standing practice of releasing a comprehensive historical account of discussions and decisions made by the Prime Minister and the Cabinet under the 30-year rule—or, now, the 20-year rule—at the turn of the year. Instead, there was only a frankly pitiful selection of files cherry-picked from the Prime Minister’s office. For the first time in 50 years, a Government have not released official files in full. Although long-standing convention has seen some 500 files released simultaneously from the Cabinet Office and the Prime Minister’s office at the turn of the year, this year just 58 files were released. The Government try to reassure us that further files will be forthcoming throughout the year but as yet there is no timetable for release or any indication of whether that will be comprehensive. Will the Government choose to release them on Budget day, for instance, or perhaps on the day before the summer recess, so as to avoid scrutiny? These may seem like hypothetical musings, but Ministers already have a track record of doing that. On the day of the Christmas recess, the Government released 36 ministerial statements and 424 Government documents in one day. That was surely done in the hope that hard-pressed lobby journalists would miss—in the thousands of pages of data—revelations from the Department for Work and Pensions that three quarters of those affected by the hated bedroom tax have had to cut back on food, or that there has been a 45% increase in homeless families living in temporary bed-and-breakfast accommodation. The answer does not clearly indicate whether all those Cabinet papers have been released to the National Archives. As the Minister knows that would include, in line with precedent, some 500 files released from both the Prime Minister’s office and the Cabinet Office. Can he assure the House that all those files have been comprehensively released to the National Archives? If they have, and given that, as the Minister knows, it is procedure for the National Archives to release all files transferred to it as soon as possible, on what basis was it decided that some files would be released and others not? Was that decision taken by the National Archives, which does a fantastic job, or was it taken, as we expect, by Ministers? On that point, how many applications have the Government submitted to the National Archives to retain documents for any reason under section 3 of the Public Records Act? Given that the use of these instruments of retention by the Government are not always publicly available, will the Minister at least confirm how many documents the Government have submitted instruments of retention for? In 2014—the last time there was a comprehensive release of Cabinet papers—we learnt that the former Prime Minister, Margaret Thatcher, had lied to the public about the extent of the pit closure plan, her attempt to influence police tactics and the involvement of MI5 in spying on officials of the National Union of Mineworkers. That information demonstrated the extent to which the Government can use the institutions of the state against ordinary people. It is good for our democracy that the information was released, and it helps the ongoing fight for justice in the coalfield communities. This year, however, with such a small selection of files released, issues of political importance such as the discussions on the poll tax and the black Monday stock market crash have remained secret. Those were decisions that senior Ministers in the current Government were directly involved in. Thanks to previous releases covering 1985-86, we know that the right hon. Member for West Dorset (Mr Letwin) advised the then Thatcher Government to use Scotland as a testing bed for the hated poll tax, but there the information, sadly, dries up. We do not know how this young adviser, in the teeth of powerful Cabinet opposition, managed to force through one of the most politically catastrophic and socially toxic policies in post-war history. Not only is that of historical interest, but it gives us an insight into the ideology and motives of the Prime Minister’s senior policy chief. We see a clear progression from the right hon. Gentleman’s policy formulation in the 1980s and policy implementation under the current Government. This goes to the heart of the matter. If previous Cabinet releases have detailed damaging revelations about senior members of this Government and their ideology and motives—motives that have been carried into the current Government—why has this year’s release been so dramatically curtailed? What detail is in those approximately 450 files that have not yet been released? Did the right hon. Member for West Dorset, who is now a Minister in the Cabinet Office—the Department with responsibility for the release of these files—have any say in that? Apparently, the Government have managed to find a way to water down the accountability of two Conservative Administrations in one go. The Government promised to be the most transparent in the world, but we increasingly find that their rhetoric does not match the reality. The Information Commissioner, Christopher Graham, the man charged with upholding the public’s right to information, boldly warned that the Government should not return to the dark ages of private Government. The Government should heed that warning. We all should.